Isn’t it intriguing how the word “humanity” is used to describe virtue, and yet, human beings are notorious for ultimately destroying just about everything we touch? Exhibit A: Mother Earth. Exhibit B: Each other.There’s no denying it — human beings are curious creatures. For a species which perpetually glorifies goodness, we tend to do an awful lot of crooked things. Still, the question remains: are human beings plagued by evil, or are we actually the plague ourselves? Enter Armageddon. These poems tackle that tough truth no one really wants to swallow: good and evil are at war, and darkness is prevailing. Of course, both wickedness and righteousness shriek from within the pages of Armageddon, but it’s fair to say that depravity runs dominant in this book. 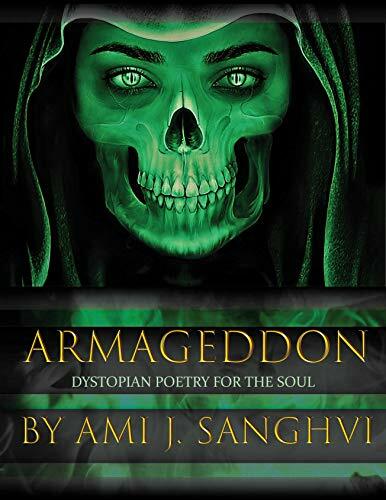 The dystopian poems in Armageddon exist to satisfy your screaming soul's grimmest cravings, and feed it with the truth it so desperately seeks… once and for all. This book is not for the faint of heart, but it is for John Milton, the creative and misunderstood genius who doesn't deserve to spend so much time turning in his grave, and for everyone who is genuinely sick of living in such an inhumane world. First and foremost, however, Armageddon’s for you, my darling misfits. 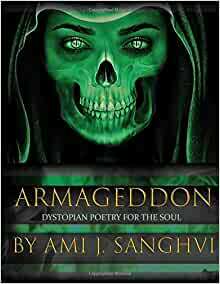 Consider these poems your medicine: a little something to soften your suffering.Now, it's time to indulge in the horrific reality of our human existence. Ready or not, it's already here. loved this book! The explanations at the beginning were intriguing. excited to read more by this author. definitely recommend it!